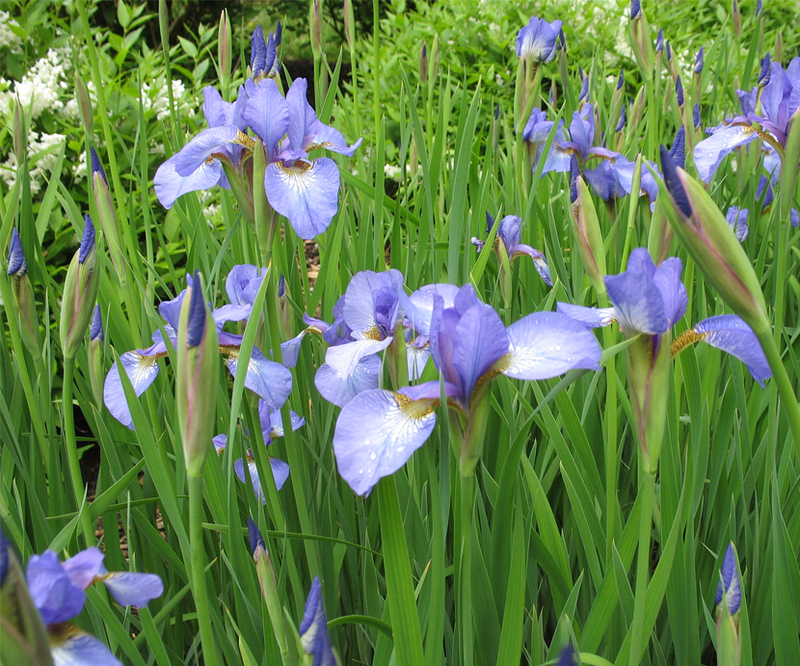 Blue Flag is an indigenous plant, with a fleshy, fibrous rhizome. The stem is two or three feet in height, round on one side, acute on the other, and frequently branched. The leaves are ensiform, about a foot long, half an inch to an inch wide. The fruit a three-celled capsule. Iris caurina Herb. ex Hook. Iris versicolor var. blandescens Nieuwl. Iris versicolor var. communis Torr. Iris versicolor var. robusta Farw. Iris versicolor var. sulcata Torr.